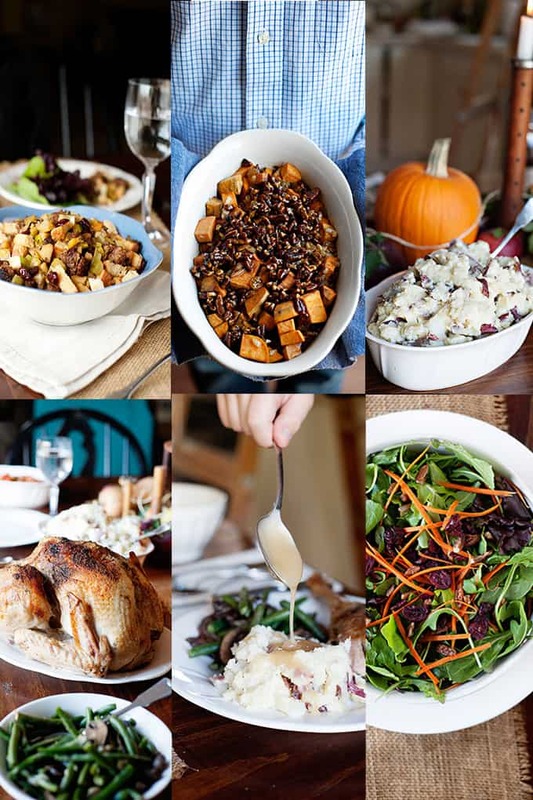 I’m excited to share 20 Thanksgiving Recipes for Easy Entertaining with you. Better yet, consider this your foolproof Thanksgiving menu. By the time you finish reading this post, you’ll feel relieved that someone did all the planning for you. And, a beautiful 26 page eBook will arrive in your inbox within minutes. Easy-peasy. 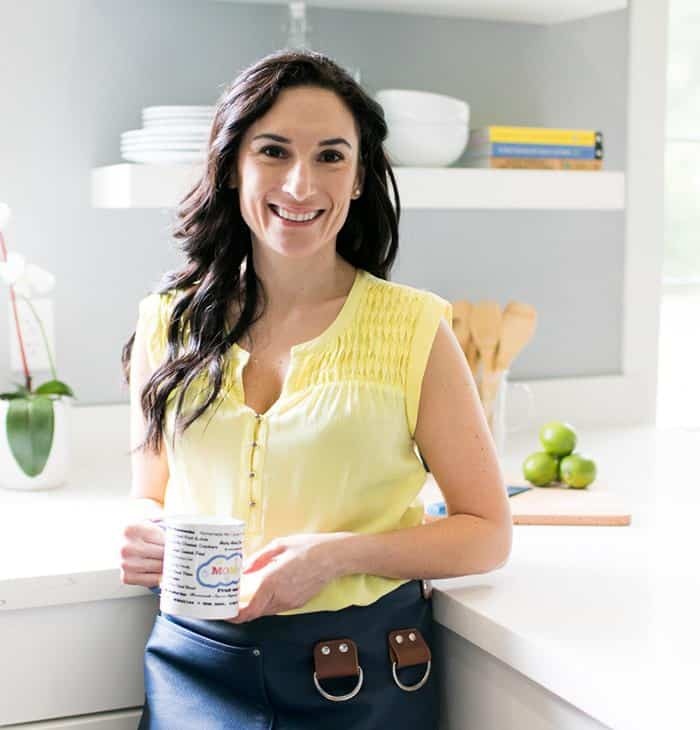 For years, I piecemealed my Thanksgiving menu by browsing cookbooks and looking around the internet. I’ve had more than a few failed recipes on turkey day -something you probably want to avoid at all costs. But not with this meal plan. Everything is laid out for you, in a printable format. And then, there is the classic dilemma of what can be prepared ahead of time and what needs to be made the day-of? Not to mention, the fact that the single oven in my kitchen is filled to the rim with no room for “one more oven recipe”. Watch this quick video and see what’s included. 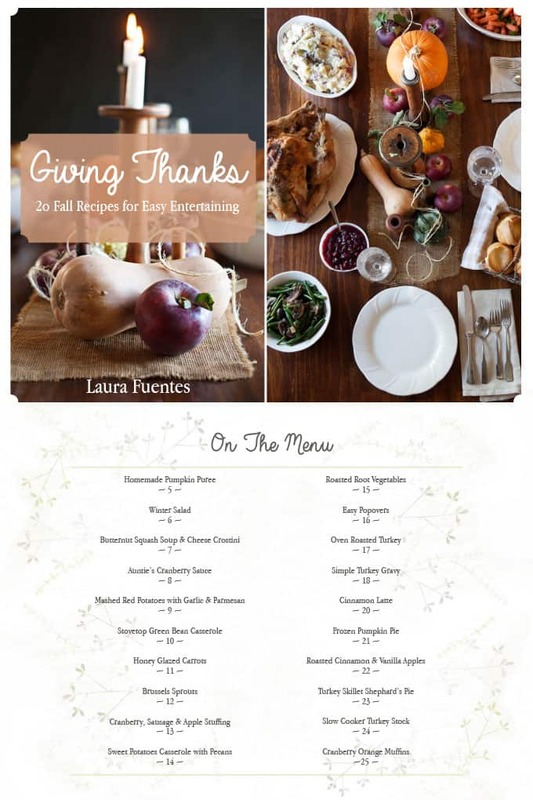 Whether this is your first year hosting Thanksgiving or you are looking for a new menu that is easy to execute in the kitchen but made with real and fresh ingredients, I’m excited to share this new book: Giving Thanks, 20 Fall Recipes for Easy Entertaining. 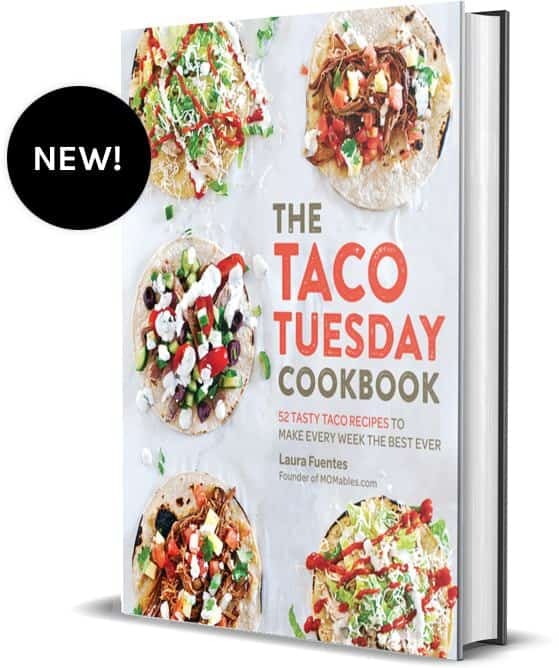 What I love about this ebook, besides the side-by-side recipe and photo, make-ahead tips, my personal notes next to a recipe, is that the PDF format makes it printable. 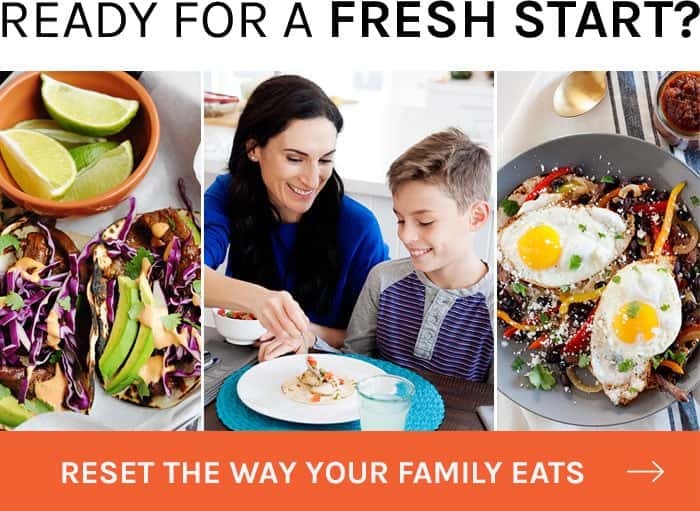 Now, you can print the recipes and cook along with them in your kitchen on Thanksgiving day and days ahead. See? It’s almost like having me in your kitchen -almost. Prep-ahead tips and storage tips to help you save time! Winter Salad with Maple Dijon Dressing: you’ll want to drizzle this dressing on all your salads year-round! Bacon Caramelized Brussels Sprouts: filled with elegant caramel flavors with an added bacon crunch. A recipe you’ll make year-round, guaranteed. Butternut Squash Soup & Cheese Crostini: creamy butternut squash soup served with crispy cheesy bread pieces. Leftover Turkey Skillet Shepherd’s Pie: because one can only have so many turkey sandwiches. Stovetop Green Bean Casserole: the perfect recipe to ditch the “cream of” can while freeing up some oven space at the same time. Honey Glazed Carrots: traditional, delightful, and very easy to make. 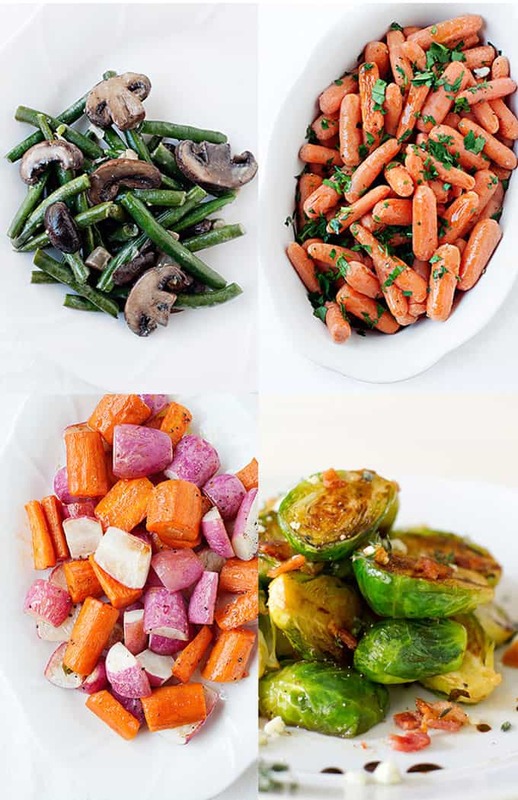 Roasted Root Vegetables: a colorful recipe made with fall’s abundant vegetables. Cranberry, Sausage & Apple Stuffing: filled with fall-like flavors and texture. Cranberry Sauce: my Auntie’s recipe; one I make year after year and the reason I keep bags of cranberries in my freezer year-round! Sweet Potato Casserole with Pecans: similar to the traditional casserole but with no refined sugar (or marshmallows). Mashed Red Potatoes with Garlic & Parmesan: creamy, delicious, with a hint of fancy. Perfect Oven Roasted Turkey: juicy, delicious, and simple to make -even if you use the pop-up turkey timer. 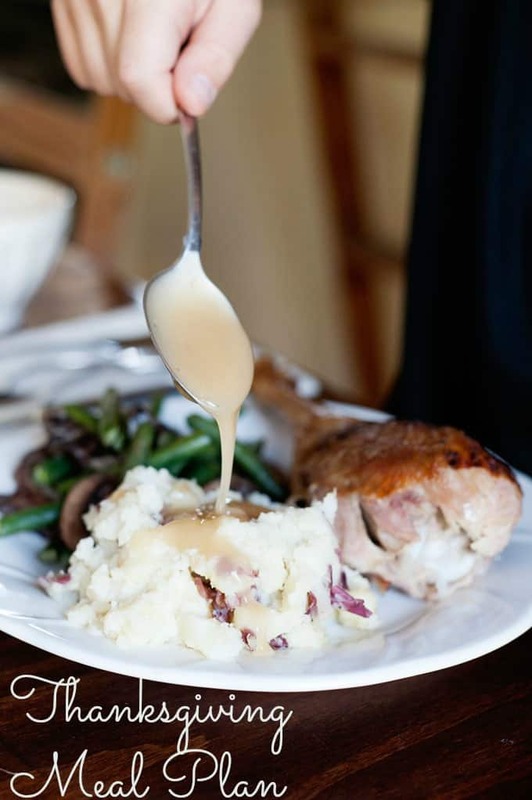 Simple Turkey Gravy: whether you use the turkey neck and juices or not, this recipe is one you can prepare just minutes before serving! Easy Popovers: because no table is complete without bread rolls, this recipe comes together easily in one bowl and a muffin tin! Slow Cooker Turkey Stock: an easy method to make stock in the slow cooker. Bonus: use this method year-round with chicken. Roasted Cinnamon & Vanilla Apples: a delicious dessert or morning breakfast treat. Frozen Pumpkin Pie: a fun spin on the classic. And don’t worry, someone will inevitably bring the real deal. Cinnamon Latte: because you’ll need a little pick-me-up after all the L-Tryptophan from the turkey. Cranberry Orange Muffins: you’ll need fuel for all the holiday shopping you are about to do after Thanksgiving. 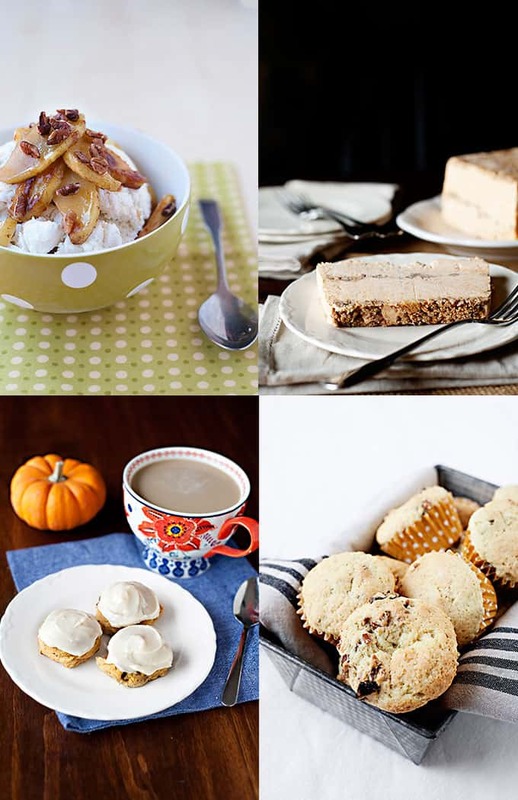 As you can see, the eBook is complete with recipes and desserts for Thanksgiving day and for many gatherings to come. 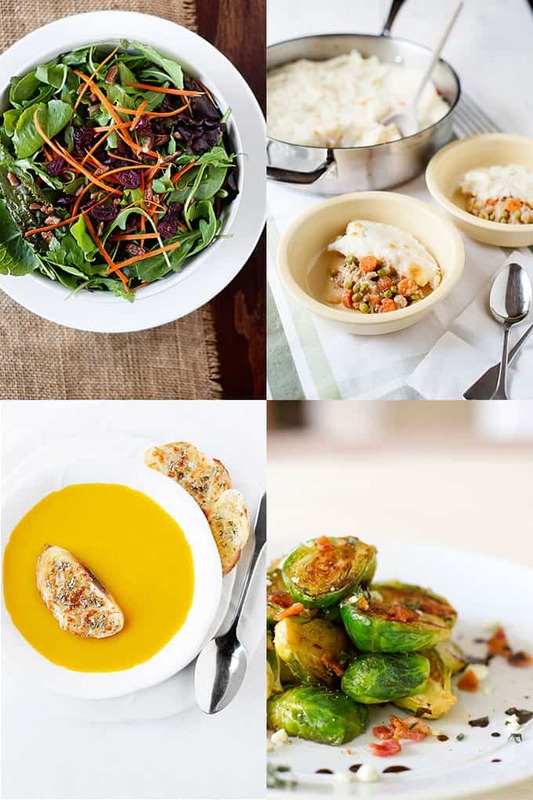 This Thanksgiving Meal Plan is like hiring an assistant this holiday season to plan out a simple, and yet incredibly delicious menu for your family and friends. After you purchase the eBook, please check the email you used to make your purchase. A receipt and a link to print out your eBook will be sent to you within minutes of your purchase. 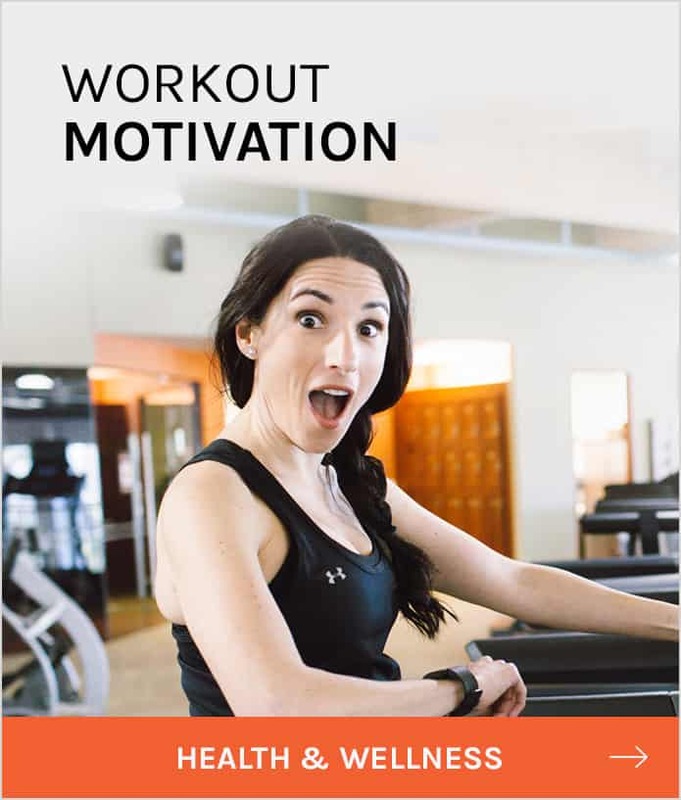 Just received this ebook- thank you! It looks wonderful. I only wish it included a schedule of when things should be done. 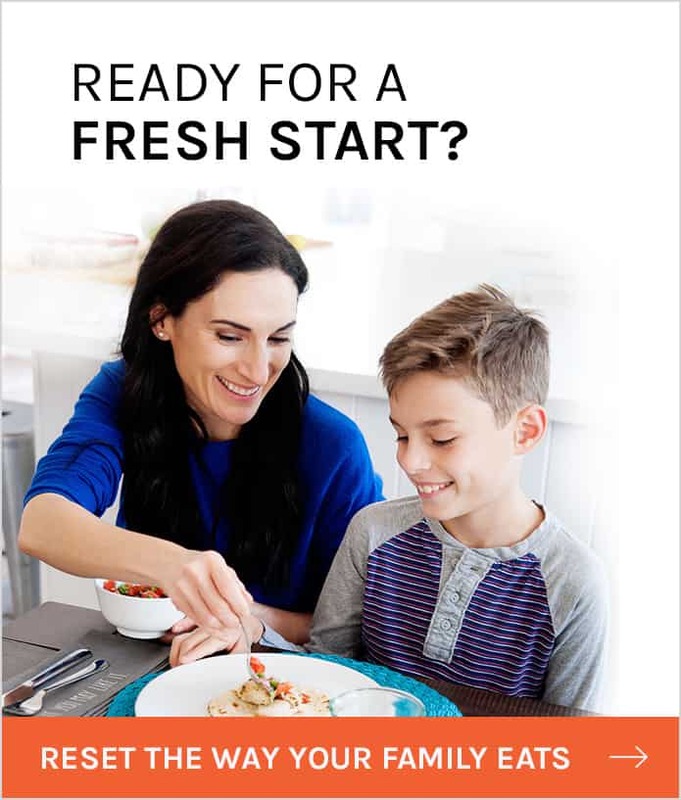 I love that you included some make-ahead tips but a schedule of prep and cooking would be even better! thank you! I am a big fan.